Norway had a major hit with The Wave back in 2015, breaking box office records and earning a spot as Norway's official submission to the Oscars that year. Its awesomely named director Roar Uthaug went on to direct the Tomb Raider reboot. Now, the producers are back with a sequel, ready to lay waste to the country once again. Kristoffer Joner (Mission: Impossible - Fallout) reprises his role as Kristian, a geologist out to save his family. 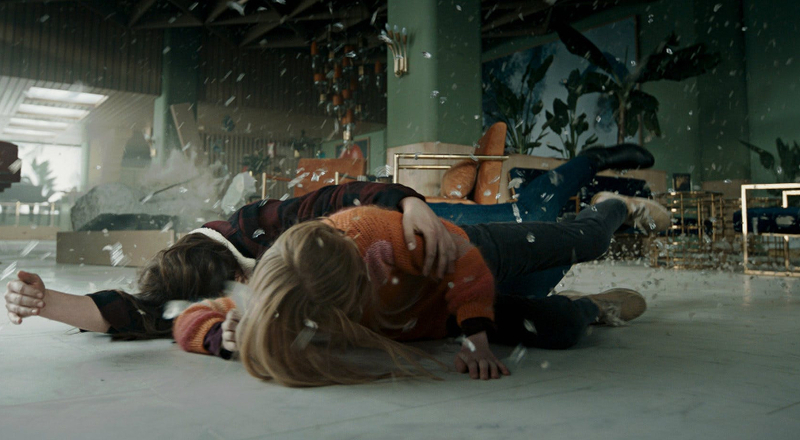 Playing with Norway's own tragic history, the film sees the capital of Oslo devastated by an earthquake even bigger than the one that rattled the city in 1904. The Quake will arrive on Blu-ray and DVD on March 19, packed with special features, including several behind-the-scenes featurettes, as well as a look at the film's impressive stunts and visual effects. You can also get the film on Digital HD on iTunes and other platforms the same day.